The author reminds us that the devil operates on a worldwide scale as well as upon individuals. He traces the confusion and chaos of present-day society to the destructive work of satan and states that in a day there is a renewed fascination of with astrology, the occult, spiritism and 'doctrines of devils', to be aware of these evil powers and will almost certainly mean that we will be defeated by them. 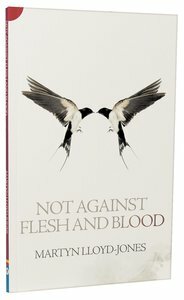 About "Not Against Flesh and Blood: Ephesians 6"